NYLON Shop – Summer is Coming Tank If you love Game of Thrones and are still convinced that Jon Snow isn’t dead, then this shirt is for you. LUSH – Mint Julips Lip Scrub The perfect (and best-tasting) exfoliant for cracked, summer lips. And yes, you can eat it. While I was shopping at Lush, I learned that each month they create a new soap for a charity and the sales go to that charity. Awesome stuff! To learn more, click here. Black Seed Bagels Next time you find yourself in New York City, do yourself a favor and visit Black Seed Bagels. I’ll let the picture below speak for itself. If you can’t make it to NYC, follow Black Seed on Instagram to get your bagel fix. 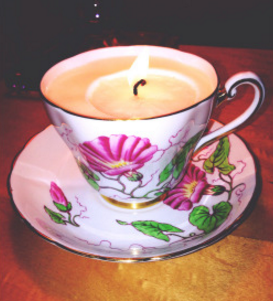 Sweet Claire’s Candles – I recently purchased this adorable candle in a teacup, made with natural soy wax. Here’s the link to her Etsy Shop; shipping was very fast and the candle smells great. 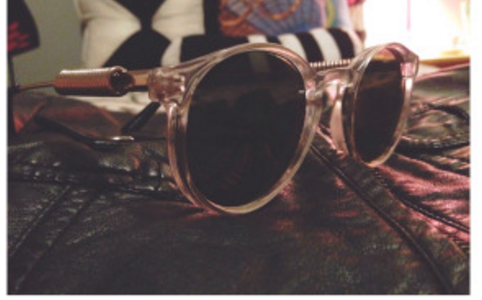 Gypsy Warrior Sunnies – Purchased solely for music festival use, but I’ve worn them every day. The Honey Truffle – Hands down one of the best Insta accounts I follow and you should, too. Her website states that “reality is not for her,” and I was immediately in love. It’s like the graphic designer behind The Honey Truffle (WHO ARE YOU!?) goes into your brain and takes every thought you have about food, fashion, social media and creates the sickest pictures from them. Check out her website for even more of her designs. YouTuber Kendall Rae – I first came across Kendall’s channel when I was searching through YouTube, trying to find videos of other customers who had bad experiences with JustFab.com, when I found her video. I’ve been a fan ever since – I love this girl and love how she utilizes her channel. She’ll tell you the best lipstick shades to wear for spring, give a step-by-step tutorial for an awesome DIY craft, and discuss important topics like self-esteem, managing stress and other tough life issues (my personal favorite are her astrology videos). But most of all, I just like that she’s honest. Check out her channel, you won’t regret it, and follow her on Insta here. Currently listening to: James Hersey – Coming Over (filous remix) Add this song to your next road trip playlist.